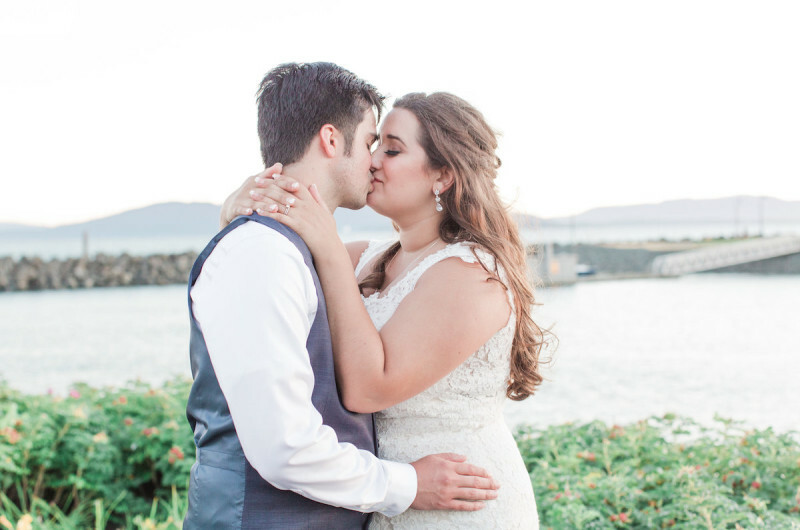 With most of their guests traveling from the Midwest for their wedding, Jaclynn and Daniel were eager to give their friends and family a taste of everything they love about the Pacific Northwest. 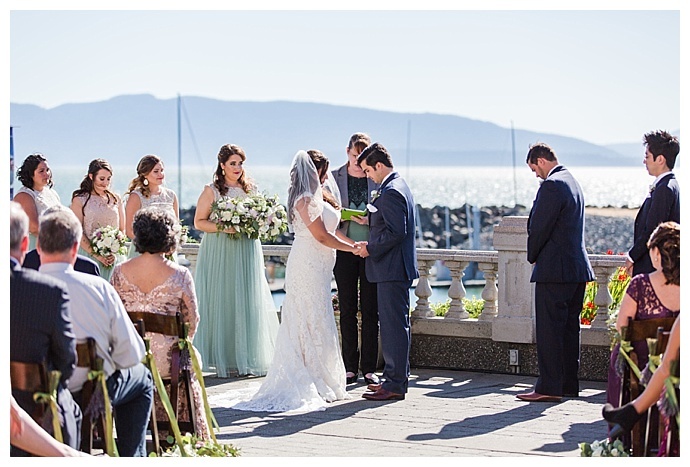 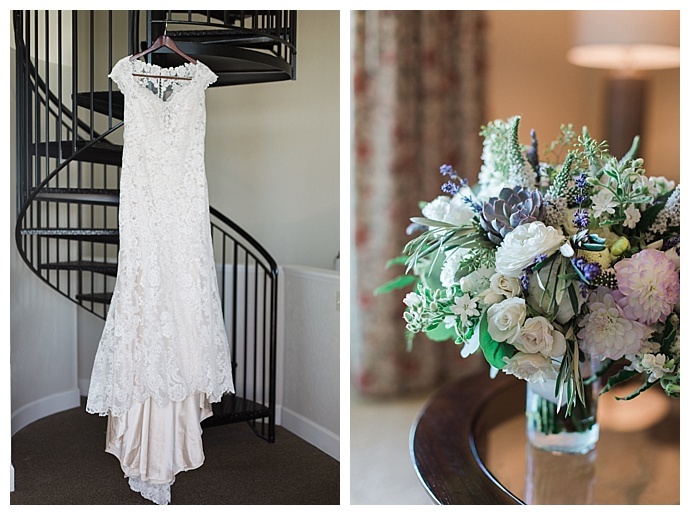 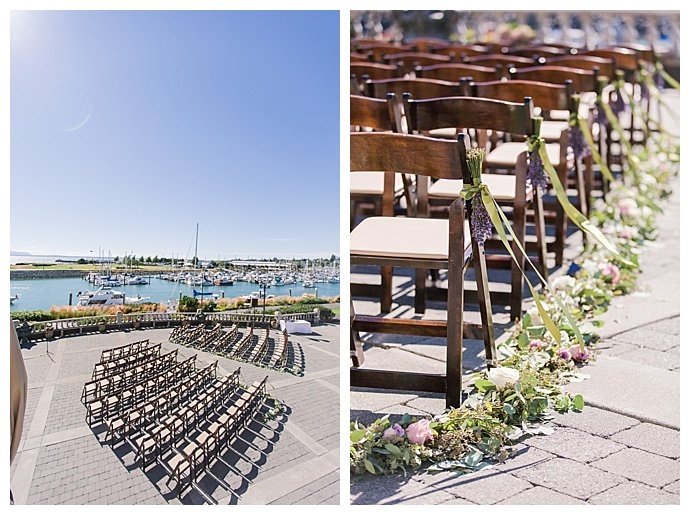 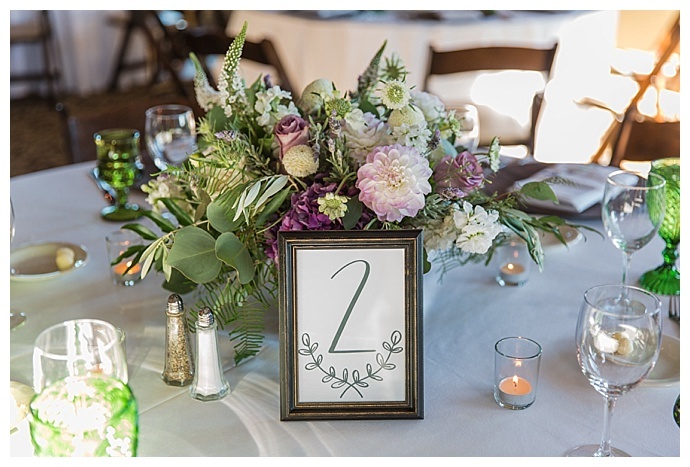 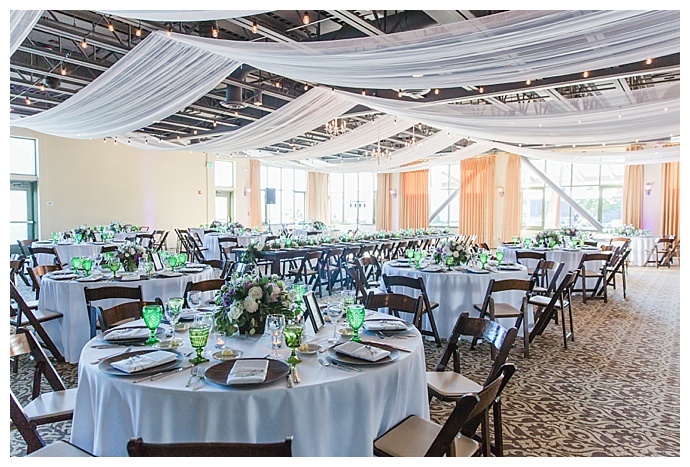 They found the perfect venue on the Pugent Sound in Bellingham, Washington, with breathtaking views and decorated the ceremony and reception spaces with plenty of lush greenery and succulents. 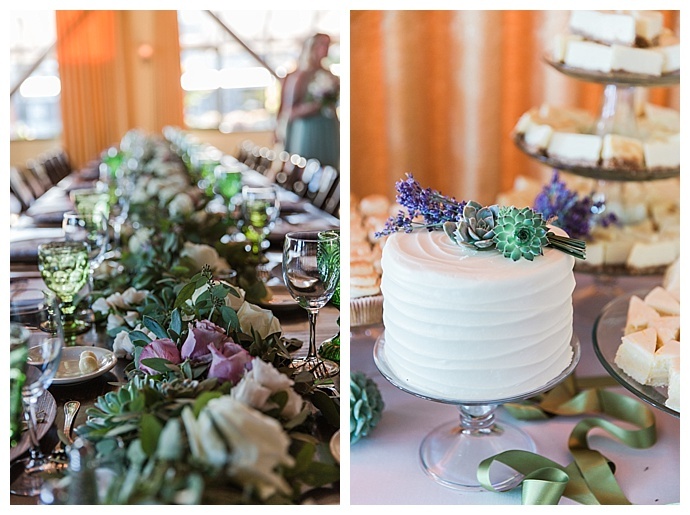 “We wanted our wedding to be a good mix of the PNW and our love for the outdoors life, and we love succulents and evergreen,” the bride says. 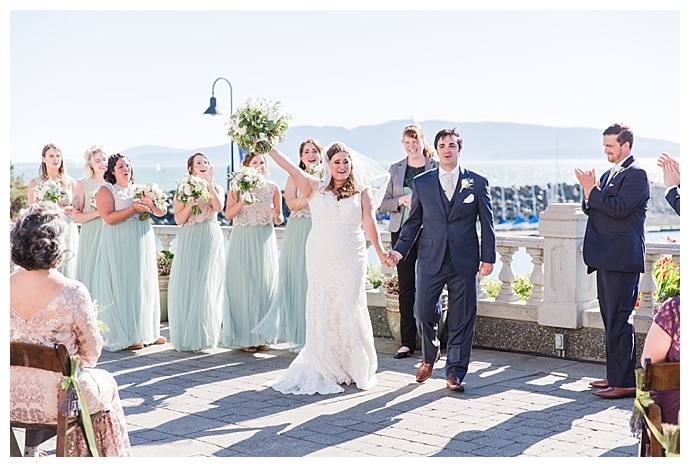 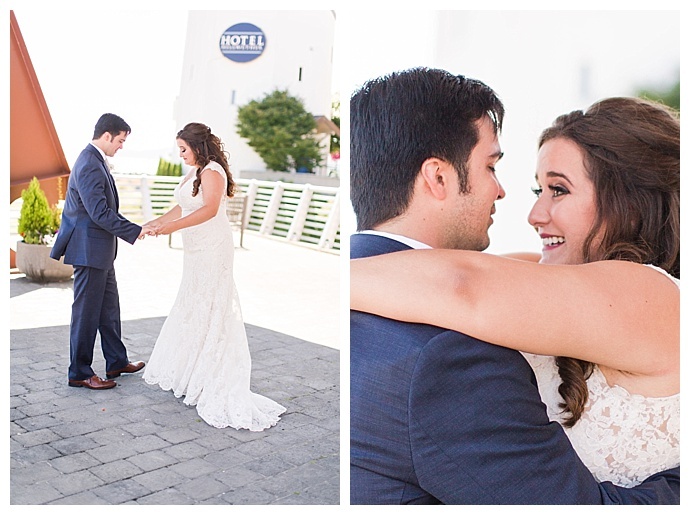 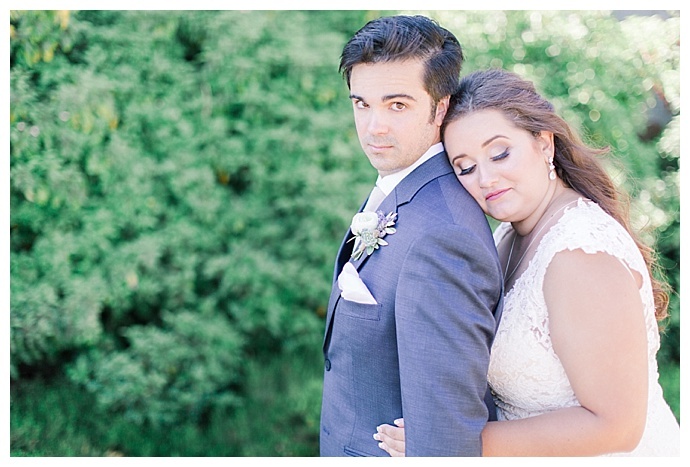 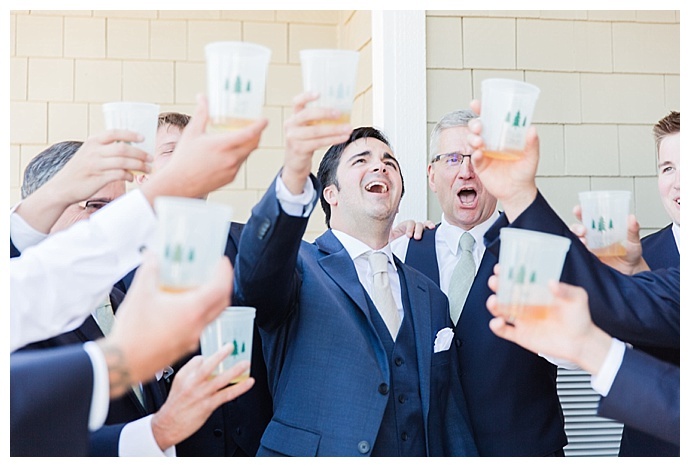 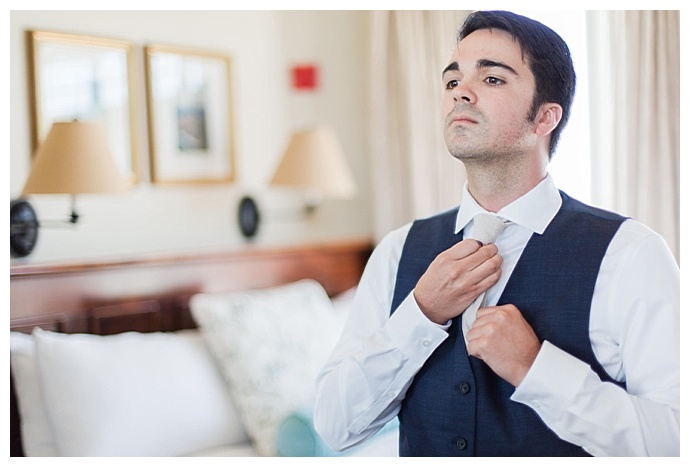 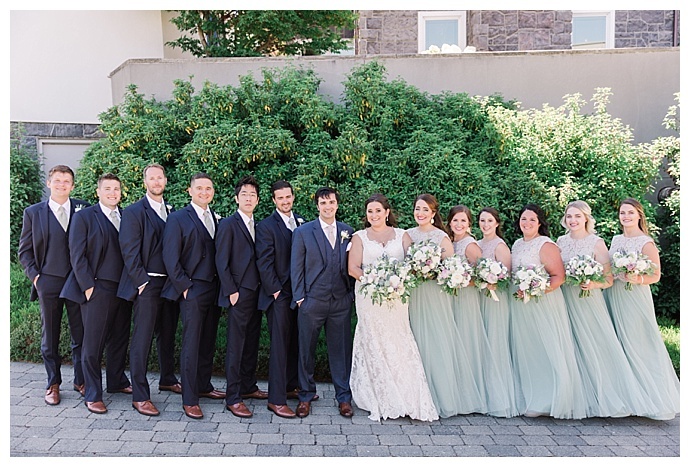 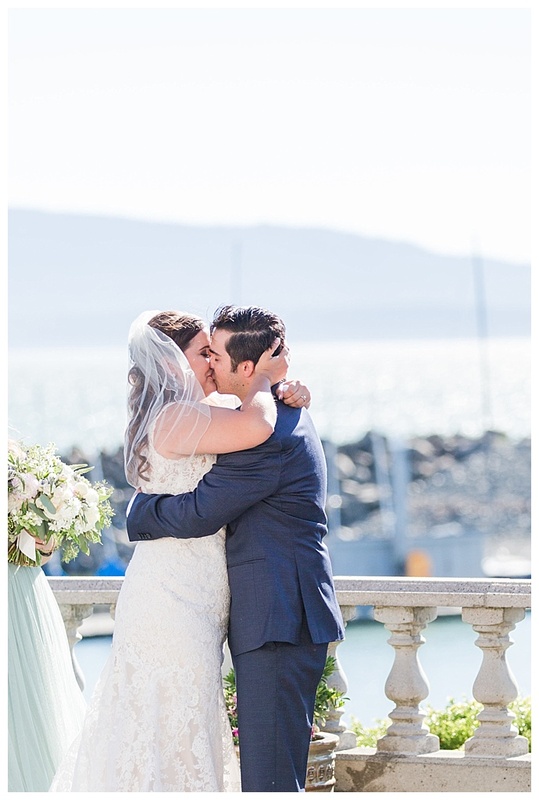 Captured by Eva Rieb Photography, Daniel and Jaclynn’s waterfront wedding was a dream come true for the couple who first met in high school. 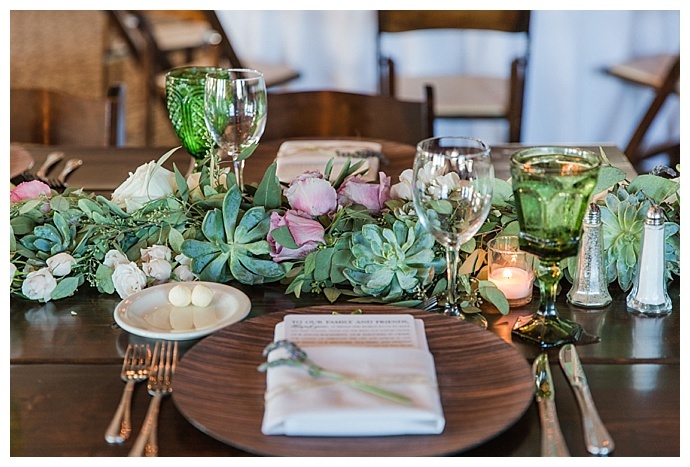 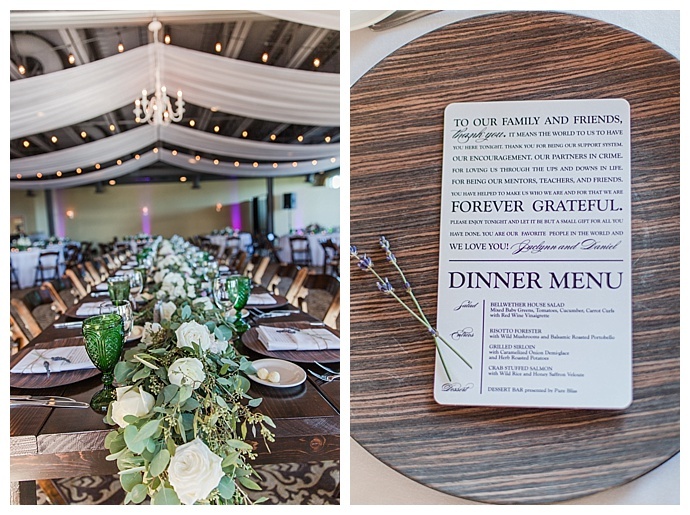 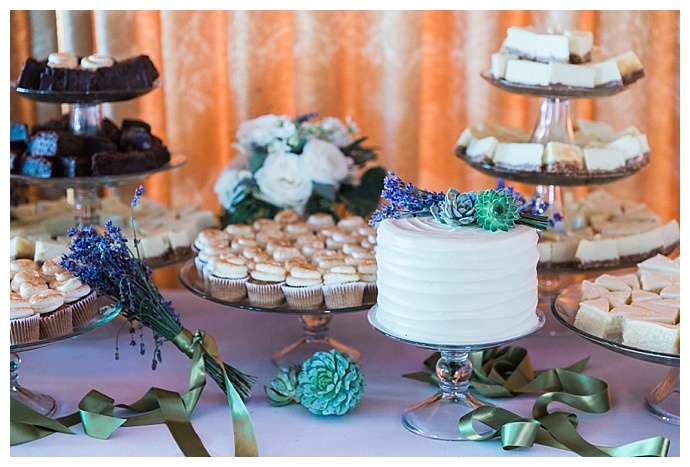 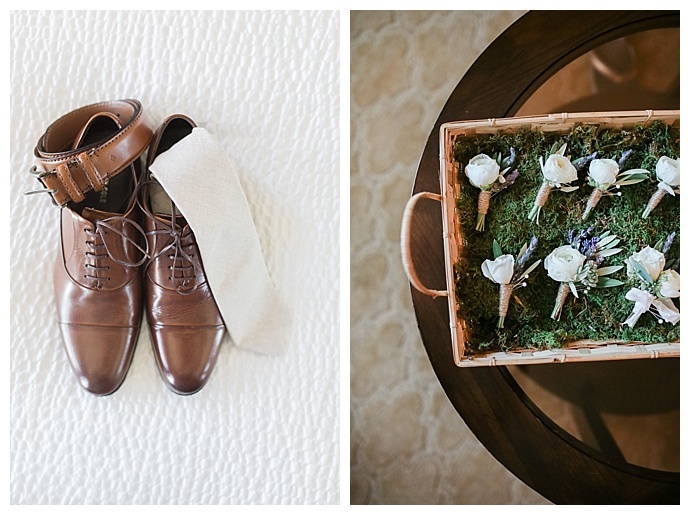 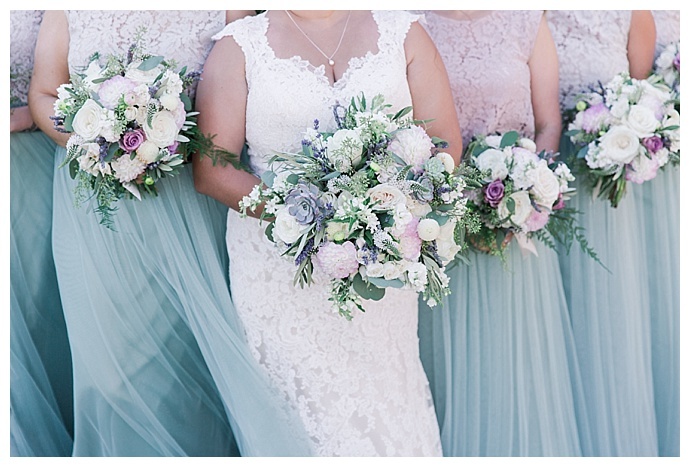 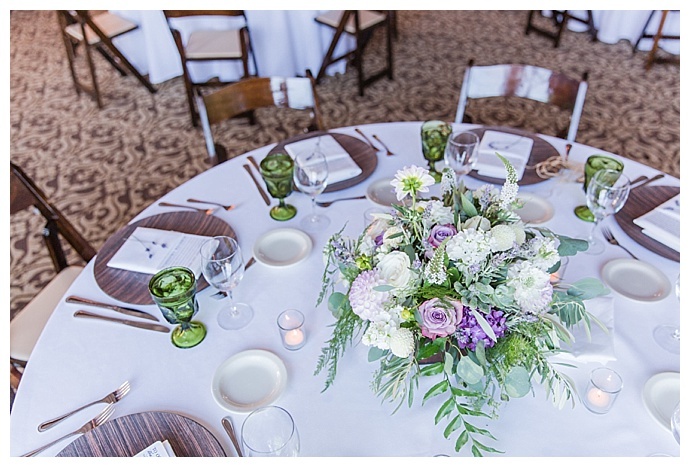 With beautiful rustic touches and succulent-filled tables, this wedding was nothing short of magical. 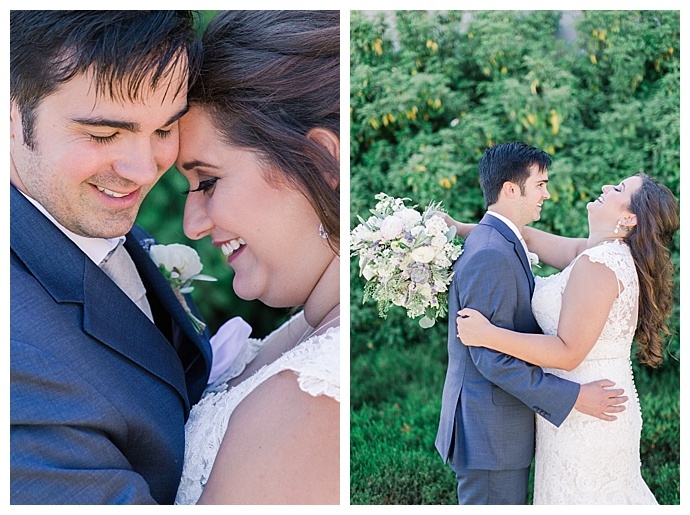 Halloween was just around the corner, and Daniel and Jaclynn had just met at their high school in Fargo. 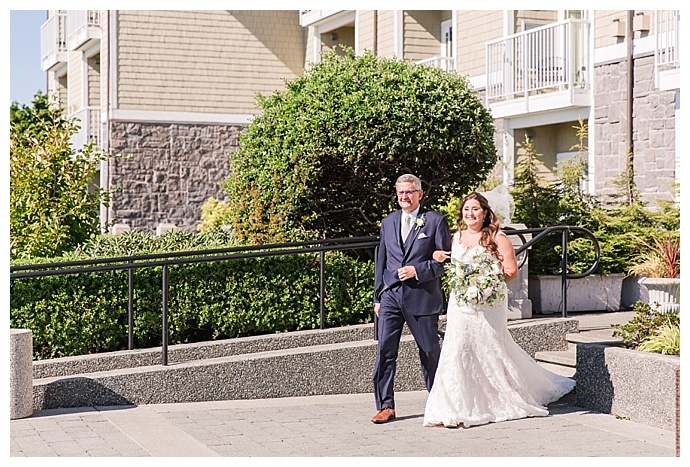 Daniel couldn’t pass up the opportunity to take Jaclynn to a haunted corn maze for their first date, and years later, he was busy planning the ultimate proposal in their tiny one bedroom apartment. 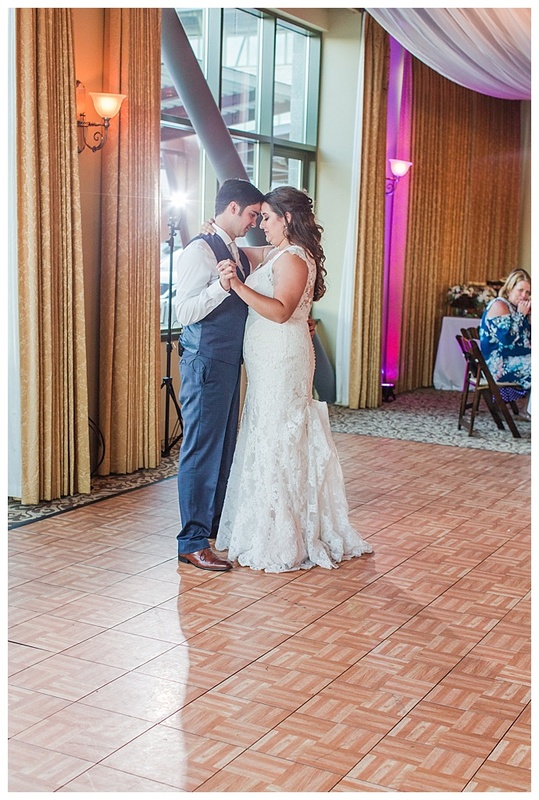 Daniel filled every inch of their apartment with balloons, and the second Jaclynn walked through the door, he dropped down on bended knee. 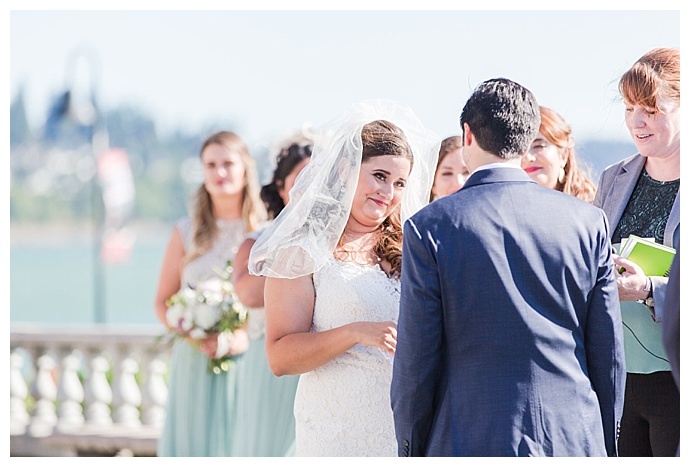 Because most of their guests were flying in from out of town, Daniel and Jaclynn wanted to immerse their friends and family in the beauty of the Pacific Northwest that they now call home. 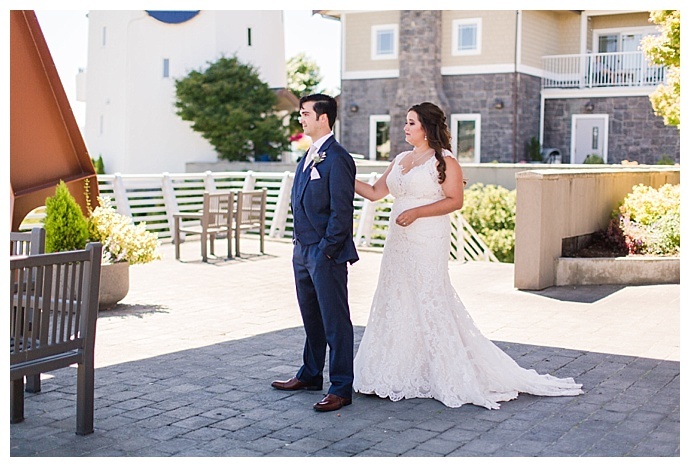 They fell in love with Hotel Bellwether, located on the edge of the Puget Sound, that offered sweeping views of the Cascade Mountains. 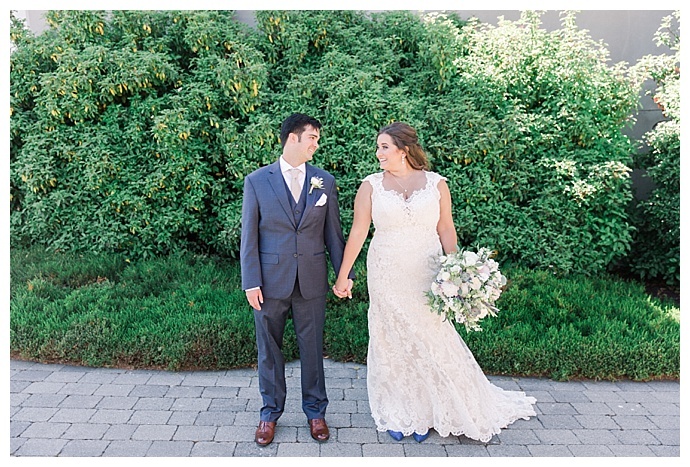 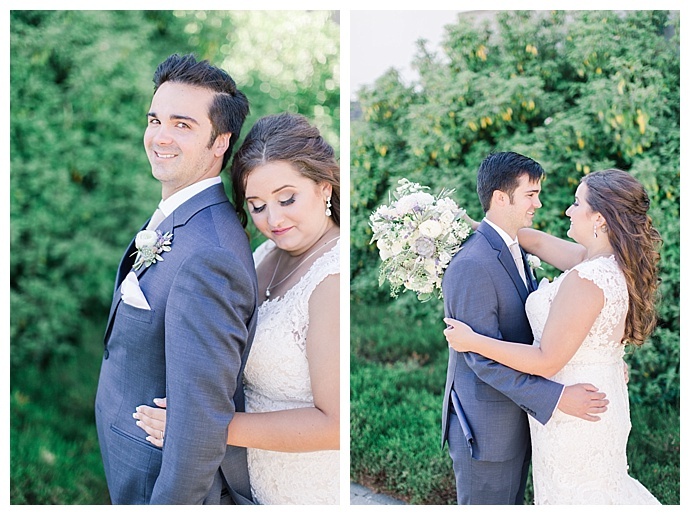 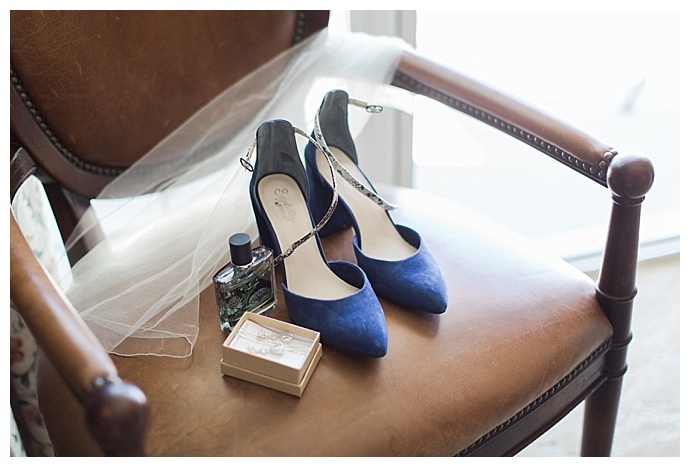 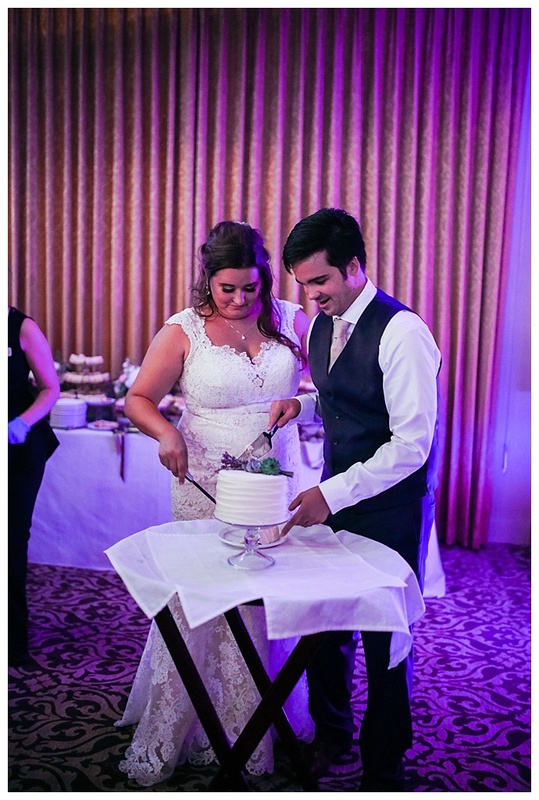 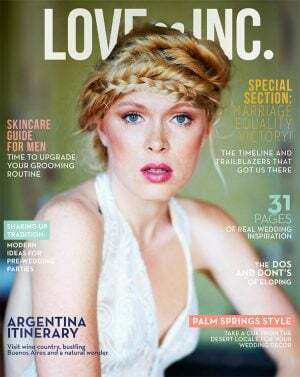 Wearing an all-over lace dress, Jaclynn looked stunning as she walked down an aisle lined with greenery to meet her groom who looked dashing in a navy blue suit. 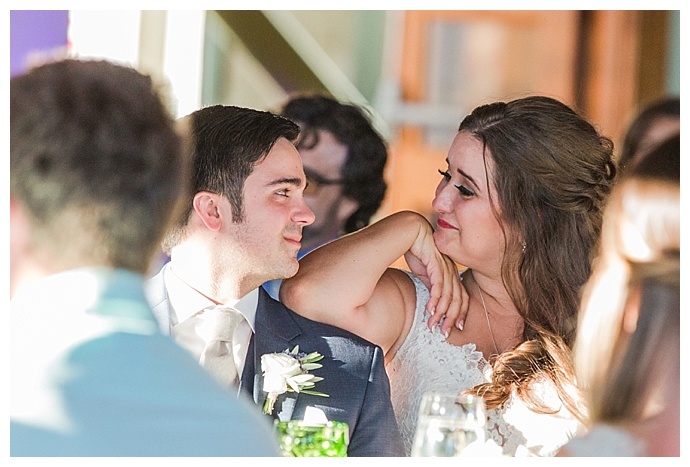 They recited self-written vows as a light wind blew, catching Jaclynn’s veil, which was also worn by her sister at her own wedding. 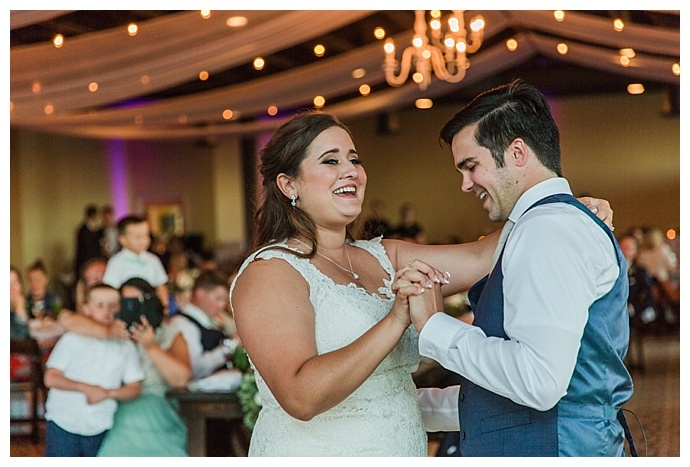 It was an emotional ceremony that ended with a passionate kiss and a thunder of applause as the newlyweds walked hand-in-hand back up the aisle. 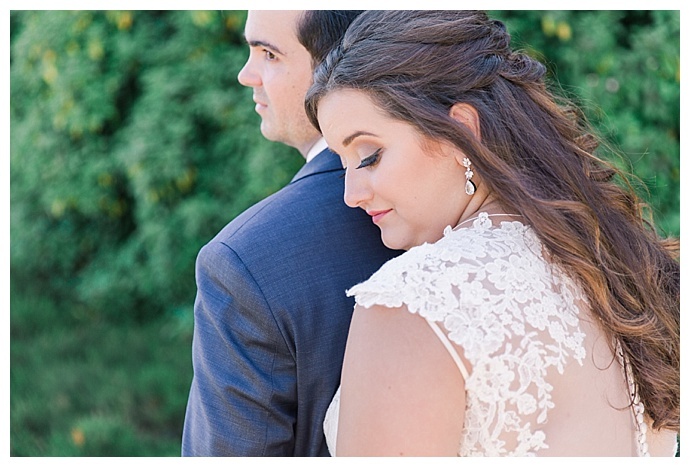 Jaclynn & Dan Wedding Teaser from Chiaronaut Film Co. on Vimeo.